Gone are the days of the Middle East languishing in its oil-rich status. One look at the UAE’s crane-filled skyline and multicultural melting pot of residents shows the impressive development the country has undergone in the 43 years since its independence. Tourism, trade, finance and construction sectors are booming, boosting the economy and offering vast opportunities for an emerging entrepreneurial population. Individual and corporate entrepreneurs are attracted to the UAE’s strategic location and unique demographic characteristics that differentiate it from many other host countries. According to the World Bank, the UAE population currently sits just north of nine million, with the expatriate population accounting for more than 80% and the majority of jobs in the private sector. That means a wealth of worldwide experience, skillsets, ideas and knowledge boosting the local economy and opening new doors to trade. In Dubai alone, SMEs represent more than 90% of all businesses and contribute more than 40% to the UAE’s GDP. Playing an integral role in building and maintaining a competitive private sector, job creation and economic stability for the region, SMEs are now responsible for up to 70% of jobs created. Government investment initiatives such as the Khalifa Fund, the set-up of free zones and the broadening of company regulations are helping facilitate and generate a large entrepreneurial interest amongst expatriates and Emiratis alike. But it takes a certain ambition, dedication and vision to succeed as an entrepreneur, as well as the ability to dust yourself off and get back up when things go awry. While people tend to categorize entrepreneurs into one mold, there are in fact many characteristics that set them apart. How decisions are made and crises are handled depends entirely on an entrepreneur’s personal traits and preferences, business aims and working styles. Non-profit international organization, Endeavor, is leading the global movement to catalyze long-term economic growth through the selection, mentoring and acceleration of high-impact entrepreneurs around the world. Having screened over 30,000 entrepreneurs from around the world and currently supporting more than 1,000 entrepreneurs from 700 companies, Endeavor has encountered every type of entrepreneur there is. Based off that experience, we have identified four common successful entrepreneurial types, each with differing skillsets and attributes, but with equal high-impact potential. Rocketship entrepreneurs are strategic thinkers who build companies that typically make things faster, better and cheaper, with a focus on driving efficiency. They start companies that apply or adapt a proven model to fill a market gap. Think FedEx’s Fred Smith, Amazon.com’s Jeff Bezos and Walmart’s Sam Walton. Closer to home, we have Bayt.com’s Rabea Ataya; Maktoob and Jabbar’s Samih Toukan and Zawya’s Ihsan Jawad. 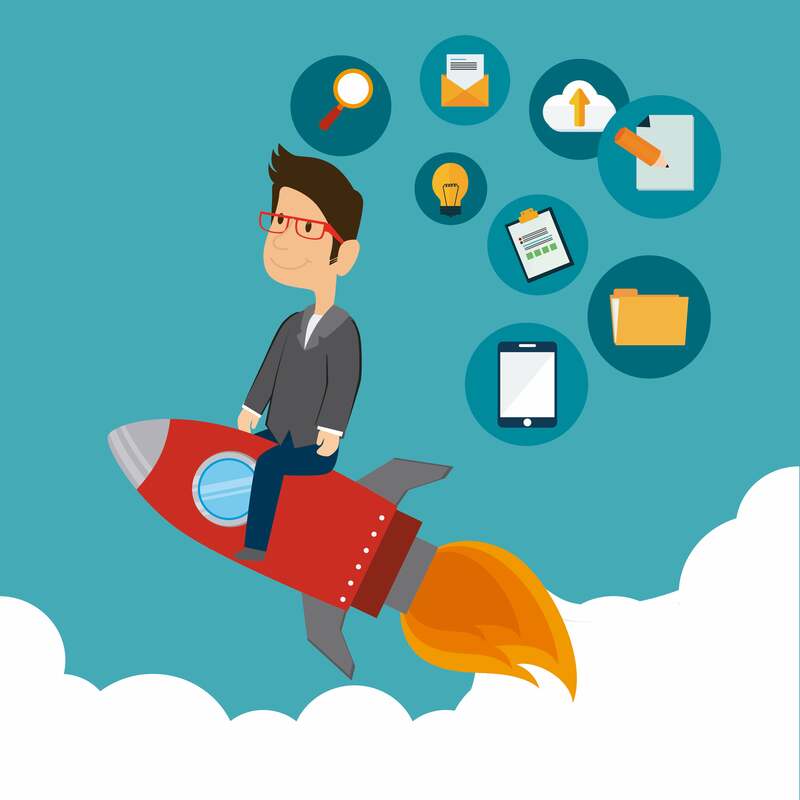 Most Rocketship profile types come from a corporate or business background and tend to have a clear revenue model and formula for growth. As the most practical and analytical entrepreneurs, they run the risk of having more “head than heart” and can potentially miss out on opportunities created through creativity and innovation. That said, they achieve rapid revenue acceleration, regional or global scalability and make strong CEOs. Their work often results in high profile exits through IPOs or strategic sales, with many going on to become venture capital investors. Transformer entrepreneurs are ambitious change-makers running established companies with a desire to reach the next level of growth and stay at the forefront of often traditional industries. Many are socially minded and combine profit focus with a desire to change society and create jobs. They harness innovation and build a strong company culture to reenergize and transform what many perceive to be “old” industries or businesses. Howard Schultz, the visionary behind coffee chain turn powerhouse, Starbucks, Ray Kroc from the world’s best known fast food outlet, McDonald’s, Ingvar Kamprad from ready to assemble furniture retailer Ikea, and Blake Mycoskie of Tom’s goodwill shoes are some of the better-known transformer-type entrepreneurs. Hassan Al Hazeem of Intercoil, along with the Chalhoub and Apparel Groups are classic transformer entrepreneur types that are well known in the region. They have the ability to scale a company significantly and even “move the needle” on a country’s GDP, while driving social change for environment, education and health in a sustainable, profitable way. Diamond entrepreneurs are visionaries leading bold, disruptive ventures- think Mark Zuckerberg, Arianna Huffington, Elon Musk and Steve Jobs. High-profile “evangelists” whose revolutionary ideas –Facebook, Huffington Post, Tesla and Apple, respectively- have created a brand new way of problem solving. Closer to home, Lebanese CardioDiagnostics entrepreneur Ziad Sankari was recently recognized by US president Barack Obama for saving lives with a cloud-based wireless device that helps physicians and patients detect cardiac problems in real-time. In tune with customer needs, diamond entrepreneurs grow quickly, attract attention and often receive multiple rounds of venture capital along the way. While the lucky diamond entrepreneurs become game changers who commonly go on to become serial entrepreneurs, the rapidly-changing nature of often nascent industries can also see others facing failure just as fast. Highly unstable and unpredictable growth trajectories means the point of inflection comes early for diamond-types. Star entrepreneurs need no introduction. They are the brand. Charismatic personalities with compelling product offerings that inspire deep customer loyalty- Richard Branson and his Virgin Group, Giorgio Armani and the Oprah Winfrey Network. Star entrepreneur Elie Saab has not only penetrated the Middle East and Levant fashion industry, but also become a household name in worldwide ready-to-wear and haute couture. Star entrepreneurs are powerful brand ambassadors who place a premium on the customer experience, build strong corporate cultures and rarely compete on price and efficiency. More often than not, they command a higher price for the design of their products or uniqueness of their services. Successful stars are not only able to scale significantly, but also inspire deep national and regional pride. In less than two years since its regional launch, the Endeavor UAE network has already experienced significant success, with 14 entrepreneurs from 10 diverse companies selected for the program. These include Michael Lahyani of Propertyfinder.ae, Mona Ataya from Mumzworld, Ravi Bhusari, Derv Rao and Brian Sigafoos from Duplays and Playpass, Idriss Al Rifai from Fetchr, Ayman Fakoussa and Dipesh Depala from The Qode, Wadih Haddad from The Box, Sassan Dieter Khatib-Shahin from German Imaging Technologies, and most recently, Riath Hamed of Balqees Honey and Aly Rahimtoola from Harmony Cosmetics. Each have different profile types and definitions of success, but they share common characteristics found in all high-impact Endeavor entrepreneurs. They start a company, scale it, achieve success and multiply that success by mentoring and investing in other entrepreneurs. They help build an entrepreneurial ecosystem that is a key driver of long-term economic growth.